Following the sell-off in the previous session, gold made back some of the losses yesterday as bargain hunters saw an opportunity to snap up the yellow brick, with strong buying in early Asian trade. Once the European markets had opened their doors, the price was weighted, touching a low of $1701.9, before slamming into reverse and rallying as the US dollar weakened, making the shiny metal more attractive. There was also support from the encouraging US initial jobless data and positive Chinese Manufacturing figures. This allowed the precious metal to end the day at $1717.6 after touching a high of $1726.0 on the back of rumours of an oil pipeline explosion in Saudi Arabia. Currently, the gold spread betting market sits at $1714.1. With the rumours of the aforementioned oil pipeline blast, Nymex crude oil futures shot past the $110 dollar mark, but later confirmation came from Saudi officials that this was simply a rumour and all was well. Prices were also given strength from the Chinese manufacturing data which expanded for a third straight month, signalling that the world's second largest economy was stabilising. At time of writing, US crude oil trades at $108.29 and Brent crude is at $125.10. Gold's rally has been built on the devaluation of the US dollar and, since it has shown signs of life in the last few months, gold's remarkable multi-year rally has been called into question. 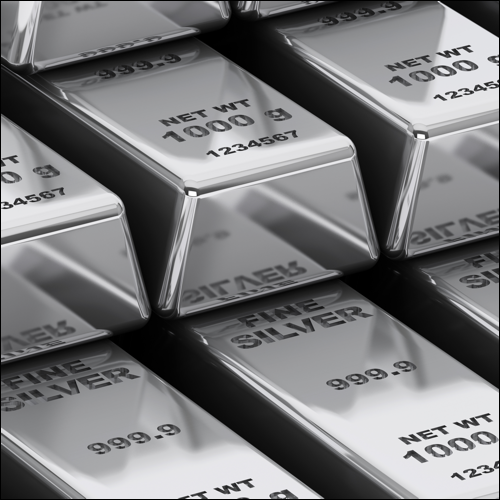 Yesterday's flood of sellers caused a bit of panic in precious metals markets and quite a few bulls were shaken out of the silver spread betting market too. The dollar has got considerably weaker over the years as the US attempts to inflate its way out of its debt hole and this has fuelled the bull run on the commodities spread betting markets. Gold as mentioned was where the real action was as it plunged to $1700. Here it has found some support and already this morning has recovered back to $1717 at the time of writing. Crude oil prices were not immune to the wider sell off either but they have recovered much better than other markets. Brent dipped to just above $121.00 before reversing its losses and this morning it is back at $122.85 at the time of writing. Silver was the stand out asset yesterday when it saw a rally of nearly 5% after breaking beyond resistance at the $35.70 level that has proved so difficult to overcome in the past. The prospect of the cash injection from the ECB today supported precious metal prices and after silver made the initial move in spiking higher, eventually gold followed suit. This morning the silver spread betting market is trading on its highs at $37.20 and gold is at $1788, near a 4 month high. Brent crude oil has taken a breather for now and is at $122.30, just finding a little short term support on the 200 hour moving average. With oil inventories later and the LTRO today, volatility in commodities cannot be ruled out either. On the commodities spread betting markets, last week's gold rally looks like it has come to an end as investors saw the metal shed $4.9 yesterday to end the session at $1767.1. It seems that one by one traders are climbing off the previous week's bandwagon and the optimism that surrounded the marketplace is slowly eroding. After dropping to a low of $1761.3, bargain hunters came in and tried hauling the price of the yellow brick higher, just coming short of $1780.0. At that point market sellers decided to take the reign's and pulled the gold market back down to the closing level. At time of writing though the risk appetite is helping to push the precious metal higher as it has another shot at breaking through $1780.0, currently trading at $1776.5. The crude oil spread betting market wanted a break from the recent bull run yesterday, snapping the seven day winning streak amid concerns over the lingering Eurozone debt problem. There is however still support provided from the uncertainty over tensions between Iran and Europe and political unrest in the Middle East. Currently, Brent crude trades down at $123.73. One factor preventing markets from scaling to new highs is the ongoing geopolitical tensions in the Middle East. The price of crude oil has been gradually rising throughout February and hit new record highs in sterling and euro terms. Prices at the pump have never been higher and this is crippling many motorists and businesses. There are lots of calls for the Chancellor to do something by reducing duty on fuel, but even if he did, he can't actually bring the price of oil down himself. A few pence off the price of a litre could easily be wiped out in an instant by further crude price rises. During recent weeks, investors have seen many factors driving the price of the gold spread betting market. A weaker US dollar has increased demand for the precious metal along with tensions in Iran and lingering concerns over the European debt crisis situation, which was allowed up for some fresh air last week. After four consecutive days of gains and a three month high reached last week, it appeared traders wanted to bank their profits ahead of the weekend meaning the precious metal closed down at $1772.0. Nevertheless, the yellow metal is still up 13% since the turn of the year. At time of writing, the pull back is still going, with the yellow metal trading down at $1770.6. For black gold, the main driver at the moment is the ongoing tensions in Iran, with fears of supply disruptions sending crude prices soaring to a nine month high on Friday. Overnight trade in Brent crude oil though could not hold the highs as traders who thought the rise was a tad overdone decided to close some of their positions, meaning that the price of a barrel is now at $124.52. Gold is just taking a breather following its break above $1760. At the time of writing the yellow brick is at $1778 and the bulls will be eying up $1790 and $1800, while support is seen at $1770 and $1760. The gold spread betting market did very well out of the dollar's move higher against the yen and surprisingly so as usually they move in the opposite direction of each other. At $1775 this morning the yellow brick has got the momentum from the bulls behind it again as it's now taken out the recent high at $1760. This has opened up a possible test of $1800. The Greek bailout ignited the feel good factor in the commodities spread betting markets and sent gold soaring $24.6 to close at $1758.6, not far off the highest level, $1763.2, seen since last November. Already though investors are having doubts over the new deal and these doubts will test the strong performance seen over the last few days. Currently, the precious metal is trading down at $1756.9. Like gold, energy markets were buoyant and crude prices were sent higher. Considering though that most of the boost came towards the settlement, it could mean that the main driver for black gold is still the situation between Iran and the West. At time of writing, Brent is trading flat on the day at $121.64. Gold benefited from the bailout deal, allowing the yellow brick to post a gain of $10.7 to close the day at $1733.5, also helped by traders dumping safer assets such as the US dollar. Another factor in the rally came from investors using the precious metal as a hedge against inflation as China refocused on its economic growth policy, which bears the risk of allowing inflation to make a comeback. Currently, gold is continuing its gain and is trading up at $1740.0. Black gold had a quiet trading session with the US markets closed due to President's Day. Crude prices had a small rally on the back of hopes that a decision in Brussels over Greece's future wasn't far off. In addition, confirmation from Iran that oil exports to the UK and France will be stopped raised concerns of further supply disruptions. At time of writing, the Brent crude oil spread betting market trades at $119.87. Gold spreads were given a boost in early trading on Friday as US inflation rose 0.2% in January compared to last month. However, this hike was short lived as investors were faced with a long weekend due to the Presidents Day holiday in the US. As a result, profit taking was the name of the game causing the yellow brick to end the session down $4.6 at $1723.1. At time of writing though, it's started the week on a positive note and is trading up at $1730.6. This morning energy markets are being propped up by the Iranian stand off with the West. News that they have halted oil exports to the UK and France has caused Brent crude oil to spike back above the $120 a barrel mark, having been as high as $121.00 earlier this morning. Currently, Brent stands at $120.50 with the near term uptrend still looking firmly in tact.